The Macworld 2011 was full of iPad cases and stands. Way more than any iPad user could need. 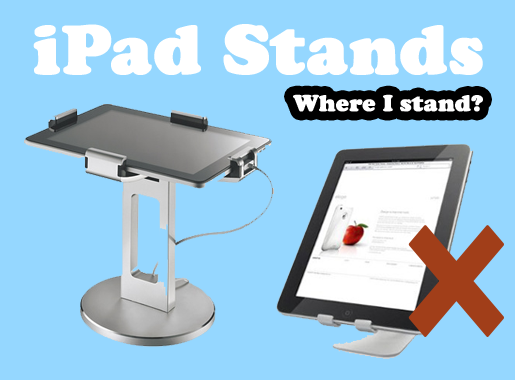 I enjoyed the Macworld a lot and I definitely learned a lot about iPad stands and cases. I took several photos just so I could post them here for you all to see. 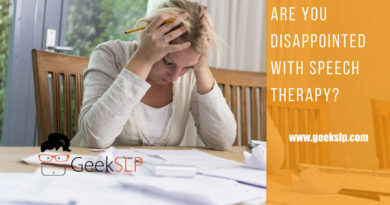 There are so many options out there, and asalways, you just need to know what you are looking for. Some people do not need waterproof cases (I would love one! 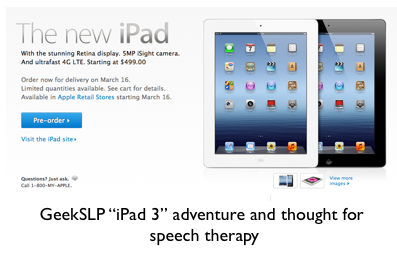 ), but I think if you are using the iPad as a therapy material you may want to consider not only an iPad case, but maybe a stand as well. 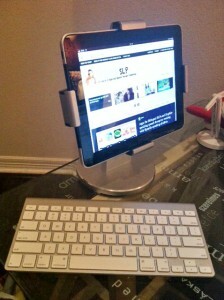 I bought my stand at BestBuy right before I went to ASHA last year. 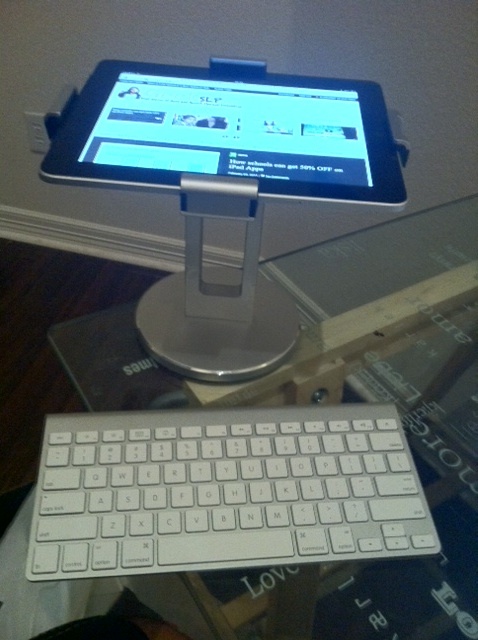 I haven’t really used my stand much until I bought my keyboard. I own a Rocketfish. 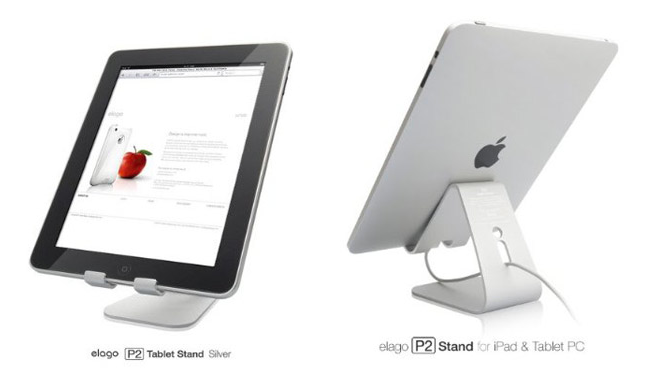 This is a pretty stable stand, definitely very nice for you to use with your students. It rotates, which makes it very nice if you have a group of students. Make sure it rotates 360 degrees- this way you can demonstrate the app to everyone in the group. Make sure it is has a stable base. 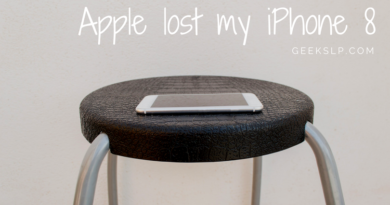 We know kids can be a little rough- you want your iPad to stay secure on the stand. 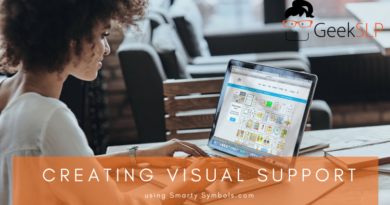 Keep in mind your own setting in your classroom before purchasing the stand. Make sure it grips on all four sides of your iPad. 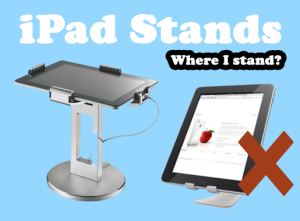 Despite the very nice and slick design, this stand does not allow the students on the other side of the circle to see the screen, and since there is nothing preventing it from sliding to the sides- it could easily fall out of the stand after a few touches from clumsy hands. I am compiling a document with all possible iPad stands and cases I would recommend. Please check back on the website for when I upload the file ( of course if you haven’t already purchased one). The Rocketfish is new to me, but i like the way it looks. 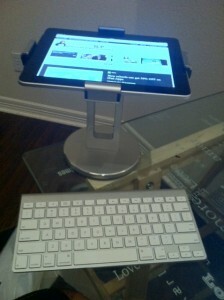 I just got the Zaggmate….love the bluetooth keyboard and the protection it provides my iPad.